A comprehensive range of Spring loaded pressure regulators / presure controllers / pressure reducers. 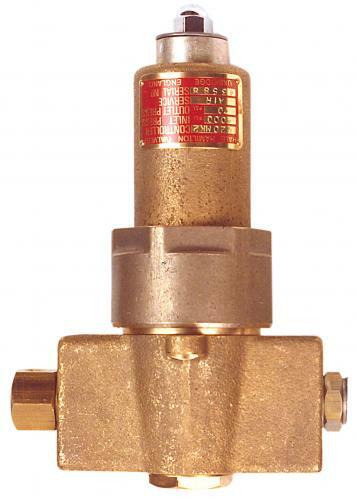 Available in a variety of materials, the Hale Hamilton range of pressure regulators are suitable for a variety of applications, including; Military, Industrial Gases, Medical Oxygen and Hydraulic fluids. Many of the products carry NATO, BAM, CTE (adiabatic shock tested EN ISO 7291),PED and TPED approvals. With pressure ranges up to 1000 bar and port connections to G3/4 Hale Hamilton can fulfil most application requirements. Series 28 - Available in G3/8, G1/2, G3/4, 1/2NPT & 3/4NPT in Brass, Aluminium, Nickel Aluminium Bronze and Stainless Steel with operating pressures from 1.5 to 655 bar and CV values of 0.08 to 2. Series G & L 15 to 21 range of Precision Pressure regulators - Available in G3/8, G1/2 and G3/4, in Brass or Aluminium with operating pressures from 0.03 to 276 bar and CV values of 0.08 to 0.7. If you can't find what you're looking for, contact sales from the enquiry buttoon above.